Every fall, large brown spiders appear and build big beautiful webs in my garden. 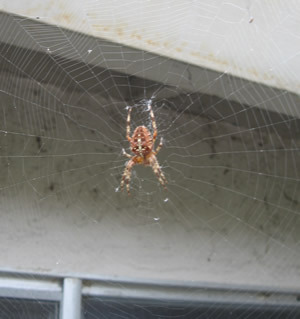 Here’s one that built a web right outside my back door. I think these spiders are Araneus diadematus (“Cross Orbweaver” or “Garden Spider”), but I’m not sure.